1.Infantile myopia: the child is born with high myopia, often associated with abnormal pregnancy or poor nutrition during gestation. 2.Stress­-induced myopia: the child begins reading at a very young age and tends to be very detail­-oriented. This is myopia caused by excessive near ­work at an age when the child ought to be spending time playing outdoors. 3. Myopia induced by binocular dysfunction: the child’s binocular system did not develop properly, therefore reading creates excess stress on the focusing system which in turn, induces elongation of the eye resulting in worsening eyesight. Of these three types of myopia, myopia induced by binocular dysfunction is the easiest to treat with vision therapy. 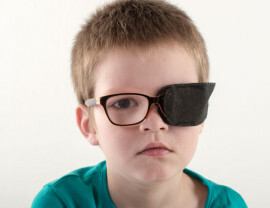 When a child’s eyes do not work together properly as a team, he may respond by having a performance issue in reading, or he may learn to work his focusing system extra hard in an attempt to overcome the binocular dysfunction. In such cases, treating the underlying binocular dysfunction is key to eliminating the excess strain which induced the worsening myopia to begin with. Because the binocular dysfunction varies from person to person, we do not prescribe the same vision therapy exercises for myopia control to all patients. There are many programs for natural vision improvement out there, but we don't typically recommend them because they are not customized to address each individual patient's binocular problems. For stress­-induced myopia, vision therapy may be helpful but it requires constant vigilance and continual therapy. Patients will need to learn drills to reduce the stress on their eyes, learn proper posture and improve visual hygiene. In addition, plus lenses may be prescribed to further decrease the stress on their eyes when reading. 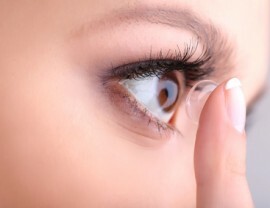 For such patients, orthokeratology, an overnight contact lens which reshapes the eye while sleeping, tends to work better in arresting the worsening of their eyesight. Orthokeratology changes the shape of the eye while sleeping so that during the day, when the lens is removed, the patient is able to have clear vision without needing glasses or contact lenses. Many studies have shown that orthokeratology (also known as ortho-­k) has been very effective in preventing the worsening of myopia as long as it is in use. 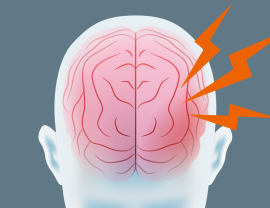 Its benefits also include allowing the child to do sports activities without needing to wear glasses. 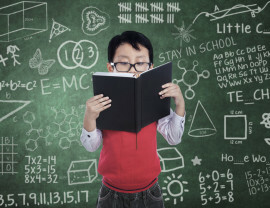 Which type of myopia does your child have? The only way to tell is with a developmental vision exam. Contact us today for a consultation! Click here to read about vision therapy for the treatment of Myopia.